St. Petersburg — Valaam — St. Petersburg cruises start on May 14, 2018 and end in early October. Other cruises which include both Valaam and some other destinations like Kizhi and Mandrogi, start on May 4. A schedule of standard package tour looks like that: departure at 20.00 from the city, night on the go with music and entertainment programs, the following day is fully dedicated to excursions on Valaam, in the evening the ship leaves for St. Petersburg with arrival next morning. Thus, it is 2 nights / 3 days. Package tours to Valaam can be bought at many travel agencies in St. Petersburg and Moscow or directly from the ships’ owner. 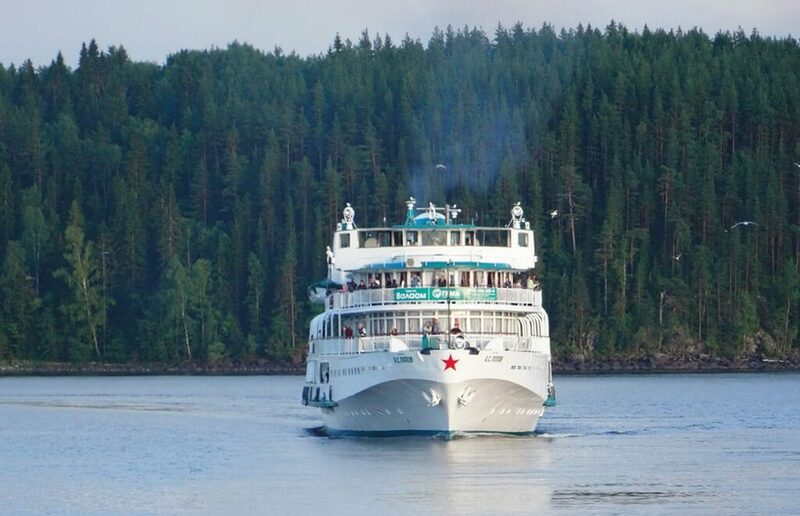 Prices for cruises to Valaam from St. Petersburg which we have found right now start from 7,300 rubles to 35,400 depending on date, level of comfort and a ship. 7,300 is for a seat in a 4-seat cabin, 35,400 for a luxury 1-seat cabin on the main deck. These are the prices of the ship owner, other agencies sell it at higher rates. Prices in July and August are higher by nearly 30% than in other months. — entertainment program on board. All the prices are given for the middle of April, 2018 for an adult. There are discounts and bonuses for a wide range of passengers — kids, seniors etc. In May, June, September accommodation in a 4-person cabin costs 7,300 rubles, a single accommodation in a double room costs 13,300, a double lux goes for 19,300. The prices for same categories in July and August: 9,600, 17,600 and 25,500 rubles respectively. In October they start from 6,900 rubles. In May, June, accommodation in a 3-person cabin costs 6,700 rubles, a single room costs 10,800, a lux goes for 11,200. The same categories in July: 8,800, 14,200 and 14,800 rubles. In August: 8,800, 14,200 and 14,800 rubles. In September: 7,600, 8,800 and 12,200 rubles. In October, from 6,900 rubles. In May, accommodation in a 4-person cabin costs 10,200 rubles, a single room costs 18,600, a double lux goes for 27,000 rubles. In June and September: 10 500, 19 100 and 27 800 rubles. In July: 13,300, 24,400 and 35,400 rubles. In August: 12,900, 23,500 and 34,100 rubles. In October: from 10,600 rubles. You can buy a trip to Valaam that includes a 3-hour land stretch St. Petersburg — Priozersk (by car or by bus) and then a water trip by a hydrofoil or boat. This option gives you one day on the island (about six hours) with an evening return home. Prices start from 6,000 rubles. You can also go wholly on your own as described in our post about how to get to Valaam. Please, note that English-speaking guidance is being provided only for groups. On the island no employees speak English or ready to serve you. Valaam is a religious place where tourists are guests, but not clients. Another important notion: no direct St. Petersburg — Valaam regular trips by hydrofoil available, all hydrofoils depart only from Priozersk.